Without a doubt the best protein powder for muscle growth is whey protein. It is rich in quality protein and low on calories. A single scoop of some of the better brands usually has about 20 – 25g of protein and very few calories. The popular Myoplex Deluxe has 53g of protein per serving and also very few calories. If you tried to obtain this much protein using regular food, you would also consume lots of extra junk calories and attaining the lean well defined look would be extremely difficult. 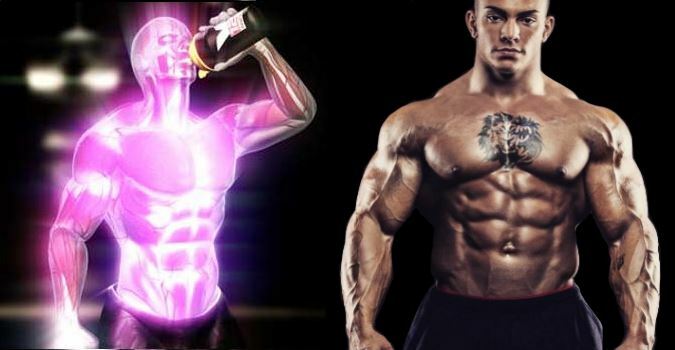 This is why every serious body builder needs to supplement his diet with why protein. What exactly is whey? Whey is produced naturally as a byproduct of the cheese-making process. Raw whey from the process contains lots of fat and milk sugar and but it subsequently goes through a micro-filtration process to make it healthier to consume. Two types of commercial products usually result from this micro-filtration process. Whey concentrate and whey isolate. The difference is simply a matter of purity. Both are excellent sources of protein and have a high biological value, providing immune resistance as well. Whey concentrate is less pure but is also cheaper. It contains less protein and more lactose (milk sugar) per serving. Typically, whey concentrate has about 70% — 85 % protein content. Whey isolate contains more protein and less lactose per serving but is more expensive. It contains roughly 90% — 94% protein. If you are strapped for cash, I say go with concentrate as it is easier on the pocket. The main disadvantage is the high lactose content. If you are lactose intolerant I suggest paying a little more and getting isolate. Whey concentrate also tends to be lumpy and does not mix well. You really have to blend it for a while to get a semi-smooth texture. Isolate mixes fairly easily even with cold fluids and is great for folks who are lactose intolerant. As mentioned earlier, the main drawback is price. If you are serious about building muscle you should consume about 25g – 50g of protein every 3 or 4 hours. Ideally you should get some of this from regular food (steak, eggs, fish, chicken etc) and some from supplements such as whey. Eat your normal 3 regular meals and then use whey for your in between meals so that you are eating about 5-6 small meals a day. A whey protein shake with fruit or a salad is always a good in between meals. Now that you know the best protein powder to use for muscle building, go build some massive biceps and a powerful chest!